Hammarite: Mineral information, data and localities. After the locality Gladhammar, Kalmar, Sweden. Friedrichite 7 photos of Hammarite associated with Friedrichite on mindat.org. Lindströmite 3 photos of Hammarite associated with Lindströmite on mindat.org. Krupkaite 3 photos of Hammarite associated with Krupkaite on mindat.org. Aikinite 3 photos of Hammarite associated with Aikinite on mindat.org. Pyrite 2 photos of Hammarite associated with Pyrite on mindat.org. Bismuth 1 photo of Hammarite associated with Bismuth on mindat.org. 5.7.34 Schirmerite PbAgBi3S6 - Pb3Ag1.5Bi3.5S9 Orth. Johansson (1924), Ark. Kemi: 9(8): 11. Foshag (1925), American Mineralogist: 10: 157. Palache, Charles, Harry Berman & Clifford Frondel (1944), The System of Mineralogy of James Dwight Dana and Edward Salisbury Dana Yale University 1837-1892, Volume I: Elements, Sulfides, Sulfosalts, Oxides. John Wiley and Sons, Inc., New York. 7th edition, revised and enlarged: 442. American Mineralogist (1976): 61: 15-20. Horiuchi, H. and Wuensch, B.J. (1976) The ordering scheme for metal atoms in the crystal structure of hammarite, Cu2Pb2Bi4S9. 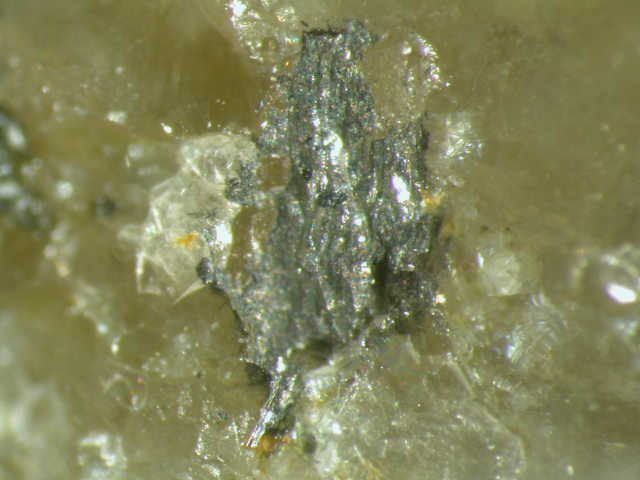 Canadian Mineralogist: 14: 536-539. Pring, A. (1995) Annealing of synthetic hammarite, Cu2Pb2Bi4S9, and the nature of caton-ordering processes in the bismuthinite-aikinite series. American Mineralogist: 80: 1166-1173. Huston, D.L., Bolger, C. and Cozens, G. (1993) A Comparison of mineral deposits at the Gecko and White Devil Deposits: implications for ore genesis in the Tennant Creek District, Northern Territory, Australia, Economic Geology, vol. 88, pp.1198-1223. Wormald, Peter John (1993) Geology of the Mt. Leyshon gold deposit, Australia: a study of breccia pipe formation, facies and brecciation mechanisms. PhD thesis, James Cook University of North Queensland. Todorov, T. (1990): Copper-lead-bismuth sulfosalts of the aikinite-bismuthinite series in the Rossen ore field deposits. Doklady Bolgarskoi Akademii Nauk 43(1), 87-90. Voudouris, P., Spry, P. G., Mavrogonatos, C., & Sakellaris, G. A. (2010, April). Gold-bismuth-telluride-sulfide assemblages at the Stanos shear zone-related prospect, Chalkidiki, northern Greece. In 13th Quadrennial IAGOD symposium, Adelaide, South Australia (pp. 6-9). Karup-Møller, S. (1977). Mineralogy of some Ag-(Cu)-Pb-Bi sulphide associations. Bulletin Geological Society Denmark, 26, 41-68. Izumino, Y., Nakashima, K., & Nagashima, M. (2014). Cuprobismutite group minerals (cuprobismutite, hodrušhite, kupčíkite and padĕraite), other Bi–sulfosalts and Bi–tellurides from the Obari mine, Yamagata Prefecture, Japan. Journal of Mineralogical and Petrological Sciences, 109(4), 177-190. Kovalev, K. R., Syzdykov, S. O., Kalinin, Y. A., Naumov, E. A., Baranov, V. V., Sukhorukov, V. P., ... & Zhimulev, F. I. (2018). The Raigorodok stockwork gold-sulfide-quartz deposit in the North Kazakhstan gold ore province. Russian Geology and Geophysics, 59(11), 1482-1496. Mozgova, N. N., Nenasheva, S. N., Borodaev, Y. S., & Yudovskaya, M. A. (1994). Nuffieldite from the Maleevskoe massive sulfide deposit, Russia. Canadian Mineralogist, 32, 359-359. Crowley, Jack A., Currier, Rock H., & Szenics, Terry (1997) Mines and Minerals of Peru. Mineralogical Record, Vol.28, No.4. 98p. Gołębiowska B., Pieczka A., Parafiniuk J. 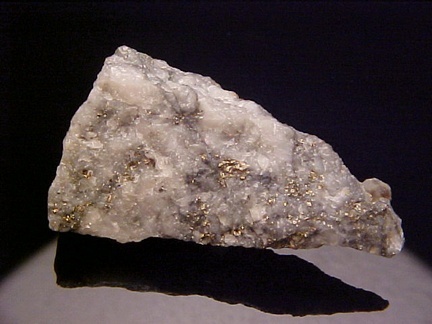 2005: Minerals of the bismuthinite-aikinite series from Rędziny (Western Sudetes). Mineralogical Society of Poland - Special Papers, vol. 26, 165-168. Shimizu, M., Kato, A., Cioflica, G., Lupulescu, M., Shimizu, M. (1998): Friedrichite from Băița Bihor, Romania. Canadian Mineralogist 36, 861-868. Nigel G. Cook : "Bismuth Sulphosalts from Hydrothermal Vein Deposits of Neogen Age, N.W. Romania, Mitt. Österr. Miner. Ges. 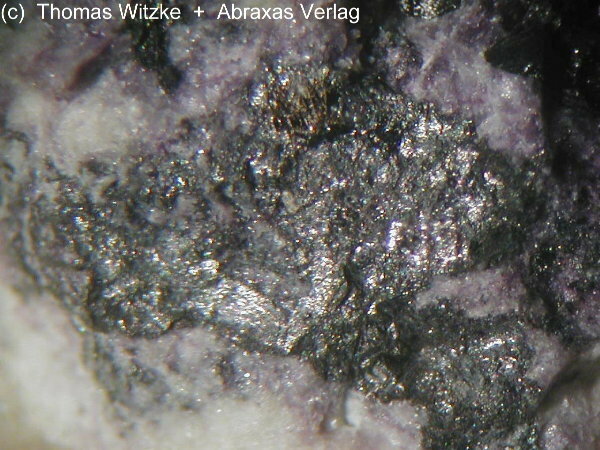 , 143, 1998 / Lecture to the Austrian Mineralogical Society, 23rd June 1997, Salzburg. Mozgova, N. N., Nenasheva, S. N., Borodaev, Y. S., & Yudovskaya, M. A. (1994). Nuffieldite from the Maleevskoe massive sulfide deposit, Russia. The Canadian Mineralogist, 32(2), 359-364. Eremin, O. V., Epova, E. S., Yurgenson, G. A., & Smirnova, O. K. (2014). Prognosis of Geoecological Consequences of Development of Deposits of the Bom-Gorkhon Tungsten Deposit (Transbaikalia). Chemistry for Sustainable Development, 22(2), 123-129. Pršek J.,2004: Štruktúra a kryštálochémia sulfosolí zo sulfidických mineralizácii Západnych Karpát (Kandid. Diz.práca).Archív Katedry miner. a petrografie Prírodoved. Fak. UK,Bratislava, 135 s.
Jeleň, S., Pršek, J., Kovalenker, V. A., Topa, D., Sejkora, J., Števko, M., & Ozdín, D. (2012). Bismuth Sulfosalts Of The Cuprobismutite, Pavonite And Aikinite Series From The Rozália Mine, Hodruša–Hámre, Slovakia. The Canadian Mineralogist, 50(2), 325-340. Pršek J.,2004: Štruktžúra a kryštalochémia sulfosolí zo sulfidických mineralizácií Západných Karpát (Kandid. dizert. práca),Manuskript, archív Kated. miner. a petrológie PFUK Bratislava, 135 p.
Ozdín D. (2003): Mineralógia a genéza sideritovej mineralizácie Ďumbierskych Tatier. Dissertation thesis, Comenius University, 194 p.
ⓘ Hillehorn northeast slope ? Lowry, D., Stephens, W. E., Herd, D. A., & Stanley, C. J. (1994). Bismuth sulphosalts within quartz veining hosted by the Loch Shin monzogranite, Scotland. Mineralogical Magazine, 58(390), 39-48. Minerals of Colorado (1997) Eckel, E. B.